While the decision to make a referral is a critical one, it is often difficult. Then again, identifying clients that need intervention and conducting prompt referrals to appropriate agencies when needed is integral to the functions of a professional counsellor. In particular, it demonstrates that a counsellor knows their limits of proficiency and can act in the best interests of their client. Singh (2007) cited that counsellors must heed the axiom, “do not try to take on everything yourself. Be aware when professional help is needed and what sorts of professional help are available” (p. 68). This is to say that recognising when help is needed from other professionals is not a sign of weakness, rather a necessity – even an ethical obligation. When a counsellor fails to refer in instances when they are out of their depth, there is an increased risk of emotional and physical detriment to the client. When they uncover issues or concerns that are beyond their capacity (i.e. their limits of proficiency). When they feel their personality and the clients are not compatible and is interfering with the counselling process. When handling clients who are relatives or personal friends. When the client is hesitant of sharing their issues with the counsellor for whatever reason. When, after several counselling sessions, the counsellor feels that the relationship has not been effective or therapeutic. I would like to add another situation that might require referral – when psychological contact cannot be made with the client for any particular reason. As an example, alcohol or drugs can be a barrier to making psychological contact, as I have found within my own counselling practice. Making referrals is a serious decision with significant implications and thus needs to be considered carefully. Referral barriers include client reluctance, restrictions imposed by insurance companies, unavailability of counsellors in a specialist area, and an inability to make prompt referrals for personal or agency related reasons (Tallent, 2011). Much like the entire counselling process, referral is ideally based on mutual trust and respect between the counsellor and client. Ultimately, counsellors can only offer alternatives to the client and trust in the client to make a decision that they feel is best for them. 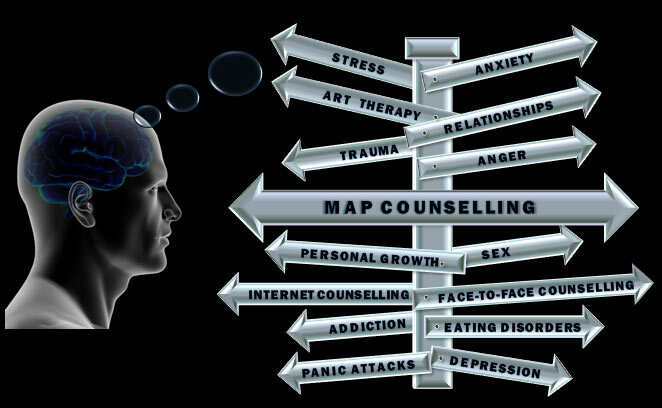 Whether the client accepts or refuses is beyond the scope of the counsellor’s functions. The counsellor’s role is to make clients more aware of the available alternatives, so that they can then choose to use their innate self-determination to pursue the best course of action for them. Successful referral rests on the quality of the counsellor’s interaction with the client, and whether the counsellor has been able, with the client, to identify the client’s needs. It is then essential to refer sensitively since clients could see it as a form of rejection, an indication that they can’t be helped, or a betrayal of trust. I present clients with the options available to them and accept if they choose not to accept that referral. I also explain my rationale for making the suggestion so that they do not feel rejected and can understand my reasoning, while also empathising with their own rationale for not wishing to take up the referral. This can be challenging, but I trust in the process enough to know that the seeds have been planted and that the client now has information he can use when they are ready. Singh, K. (2007). Counselling Skills for Managers. New Delhi: Prentice Hall India, Ltd.
Tallent, C. (2011). ‘The Referral Process: Rural Primary Care Physicians’ Perspectives on Providing Counseling Referrals’, Available at: <http://digitalcommons.unl.edu/cgi/viewcontent.cgi?article=1117&context=cehsdiss&gt; [Accessed 4th November 2013]. Hellow, please can you help me to answer some question? Hello John. What questions do you have?